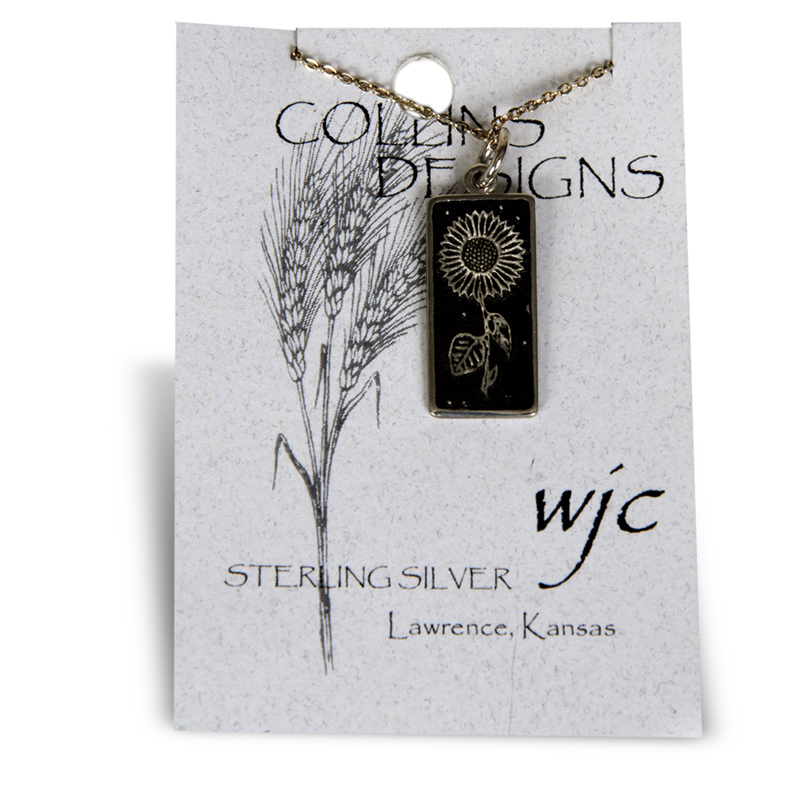 This sterling silver sunflower pendant on an 18-inch silver chain is styled from a paving brick used on many Kansas streets in early 20th century. The bright golden and brown wild sunflower was adopted as Kansas’ state flower in 1903. The two-sided pendant depicts day and night, and was designed, cast, and finished with careful attention to the smallest details. By Collins Jewelry Design of Lawrence, Kansas.